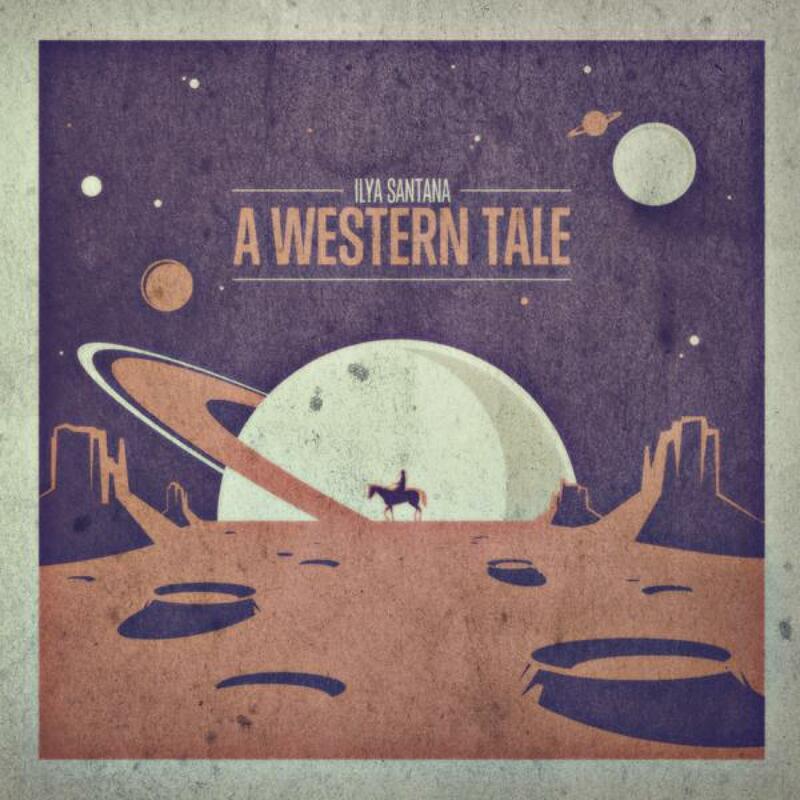 Ilya Santana follows up his 'Running To Your Love' EP with a cosmic eleven track album for Nang titled 'A Western Tale'. With releases on Tirk, Permanent Vacation, Hoog Choons & Gomma plus remixes for the likes of The Human League, Space and Lindstrom under his belt, Santana has garnered a reputation over the last 8 years for quality in the realms of Disco, Funk and House. 'A Western Tale' is a journey into the abstractions between these three styles, doffing caps to Krautrock, the sassy string renditions of 60's swing, post-war era science fiction synth soundtracks and Italian Cosmic Disco. The album kicks off with 'Forget Me Not', a bass-strutting euro-disco record, followed by the rolling synth arpeggios and multitudes of percussive instruments in title track 'A Western Tale'. Cosmic solstice' is an 8 minute opus of cross-pollinating synth phrases and bouncing bongos. 'Travel Rock' pulls in some chugging guitars to toy with the textures before 'Outland Boogie' takes things a little deeper with pronounced hand claps and contemplative synth runs. Tracks like 'Infinite Conciousness' and 'Running To Your Love' highlight the engrained musicality in Santana's productions, perfect for peak time floors or intimate bars alike. 'Soul Rising' & 'A Love Scene' pull things back a bit, for moodier, spaced-out vibes. 'Feed Me Of Your Love' is a poignant & sharp synth-boogie record. 'Slave Dancer' (digital) only) finishes the album off with hypnotic percussion and soaring space-age motifs.